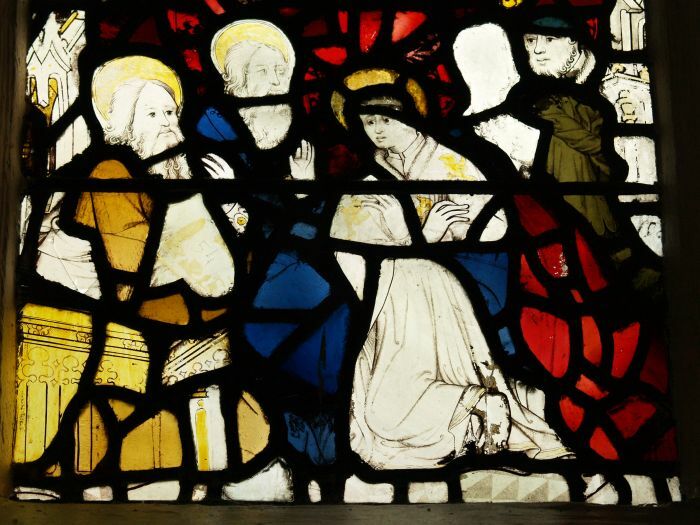 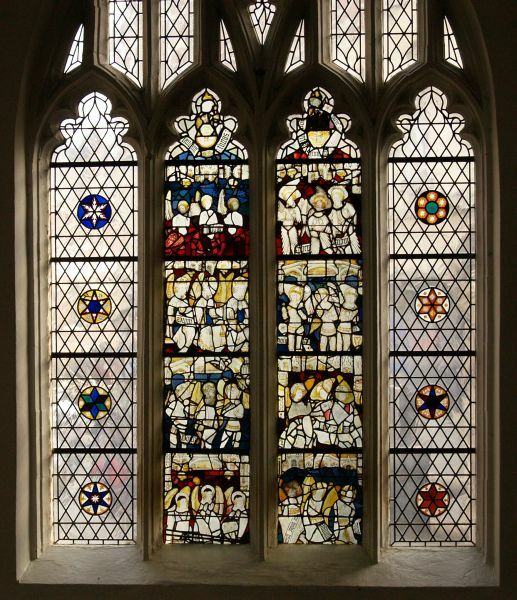 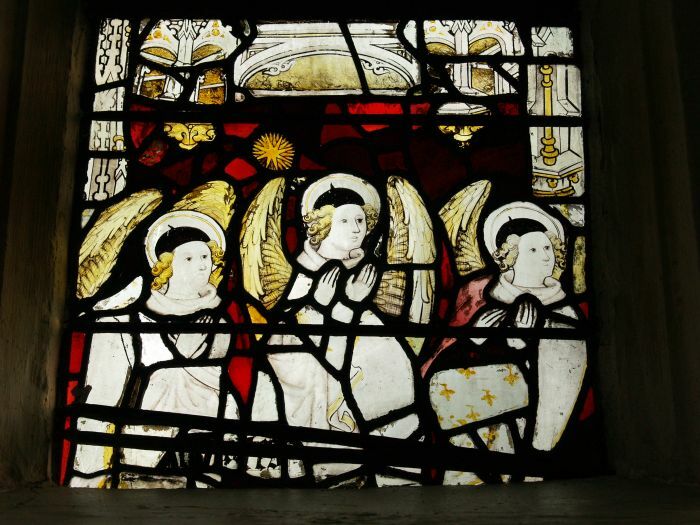 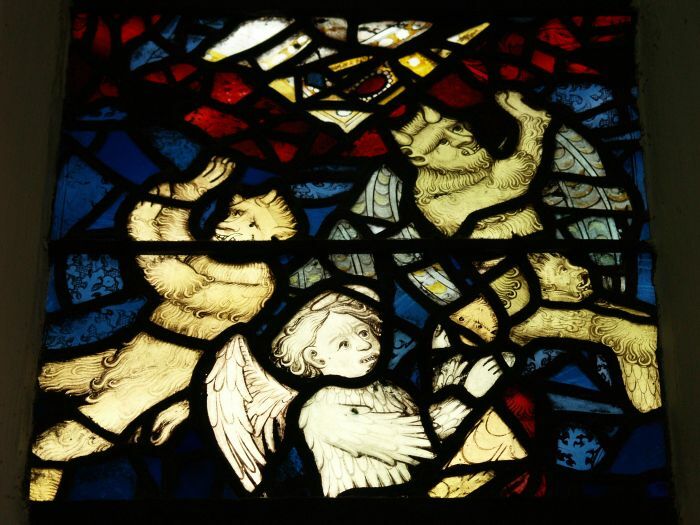 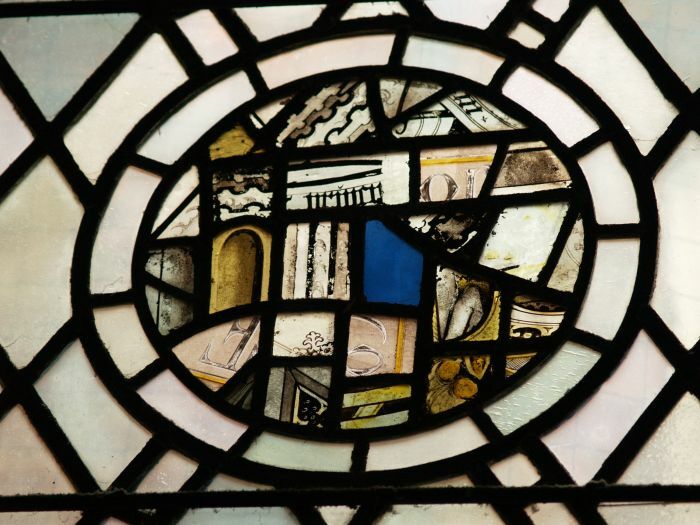 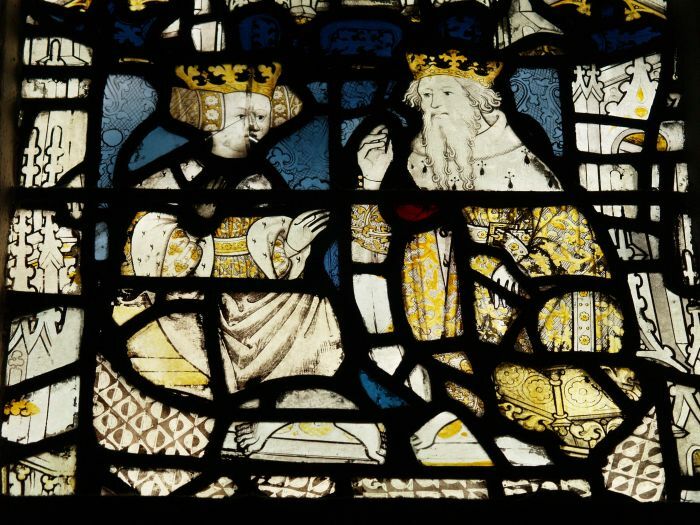 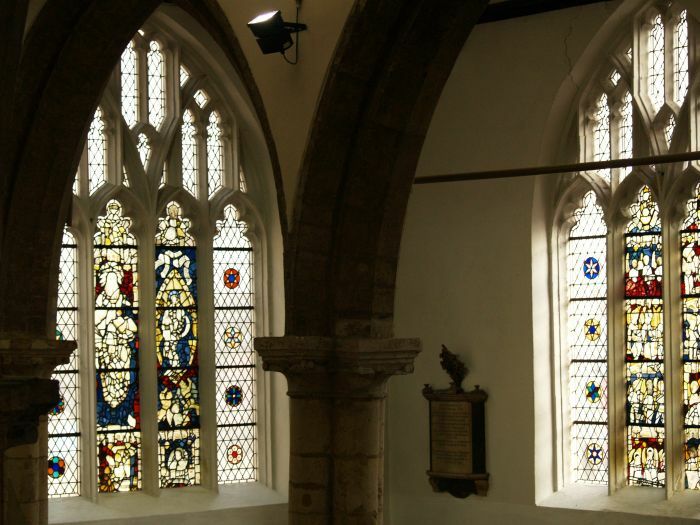 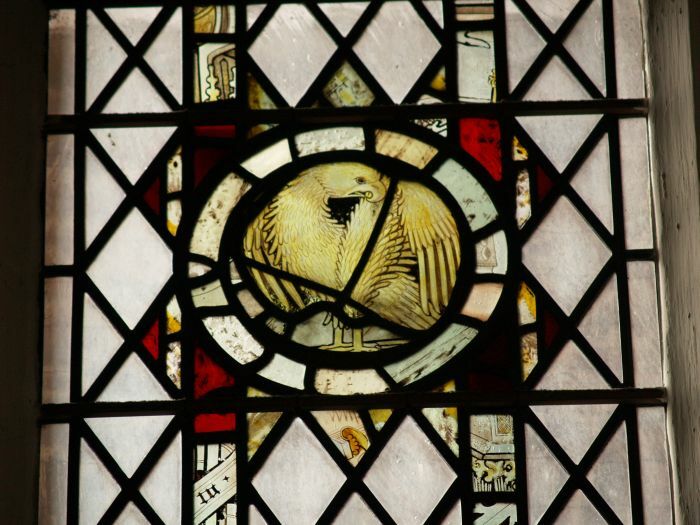 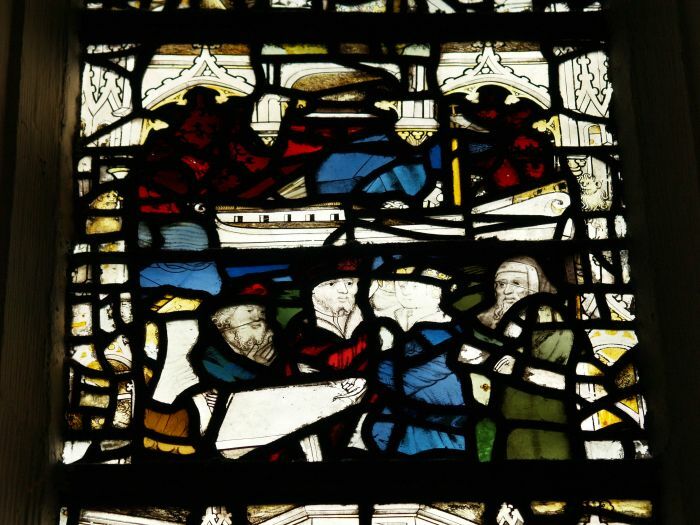 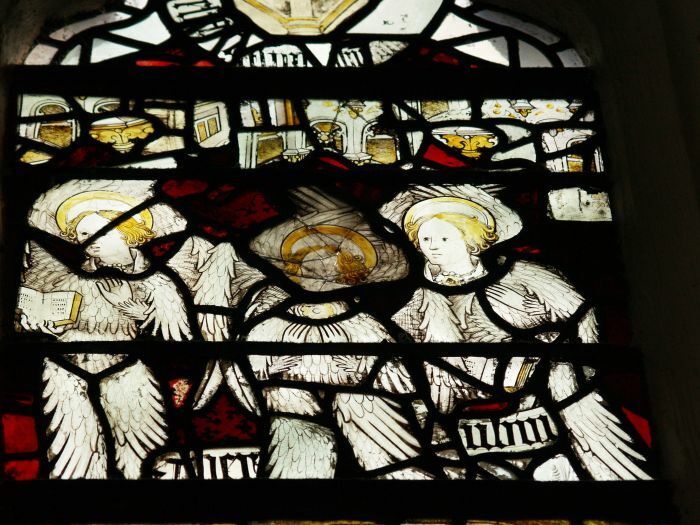 Most of the stained glass is medieval 15th century (influence of John Thornton?) 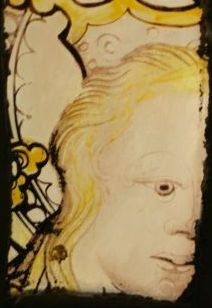 or early 19th century, most of the latter is by John Barnett 1820-1821. 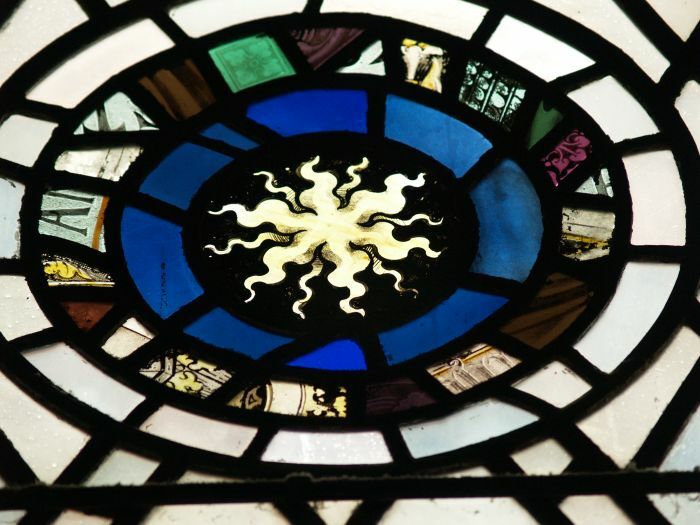 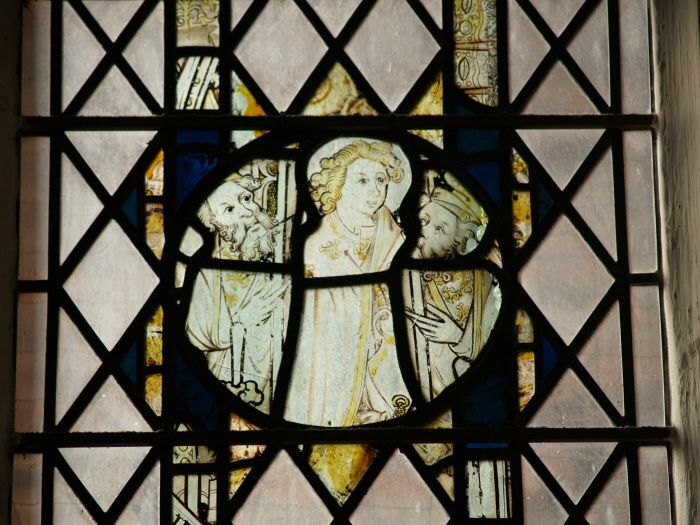 Part of the stained glass window depicting St John the Baptist and The Woman Clothed with the Sun. 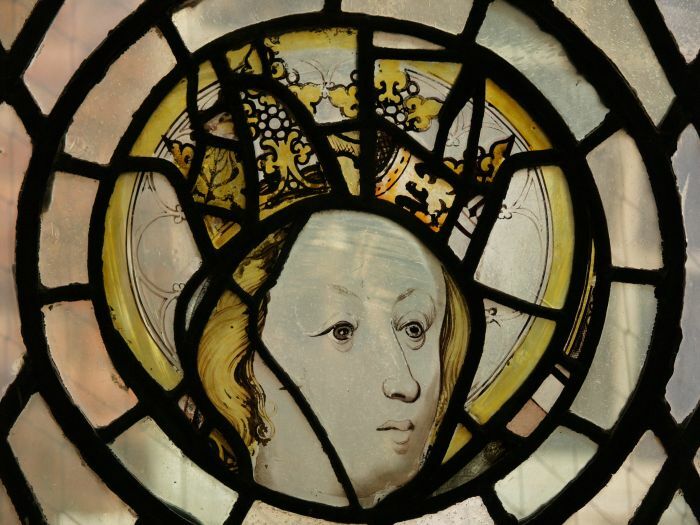 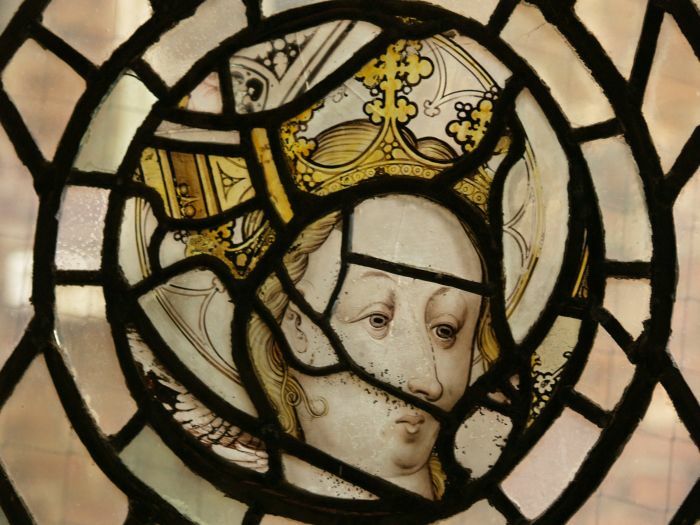 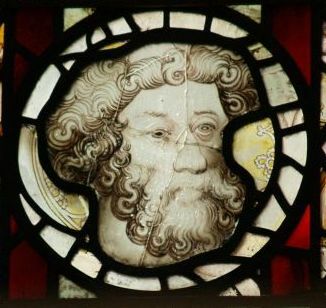 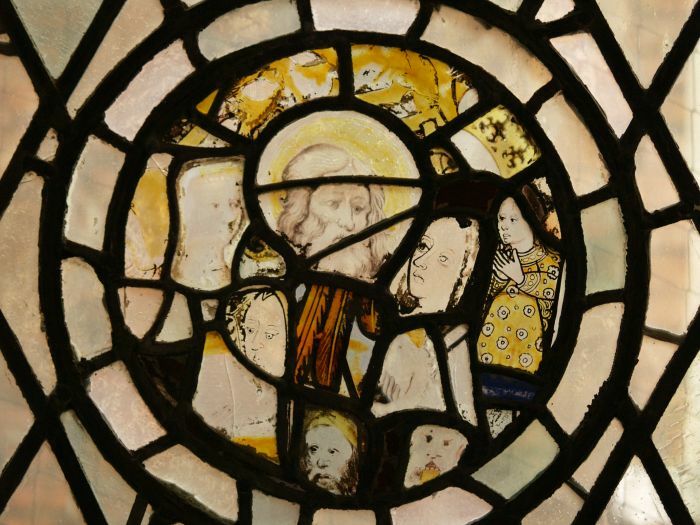 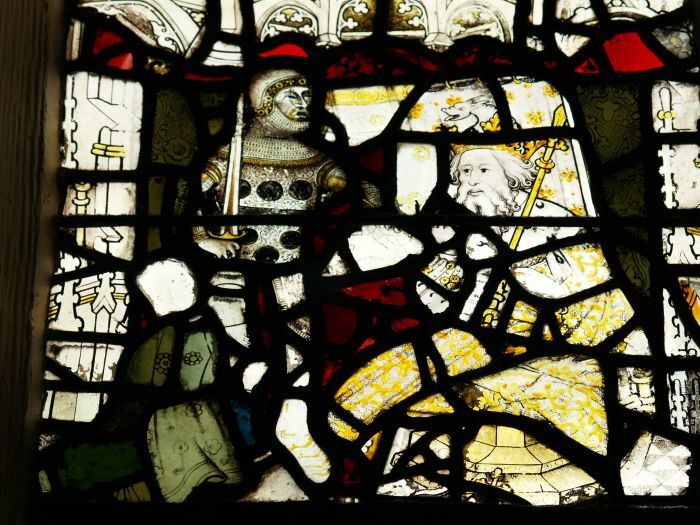 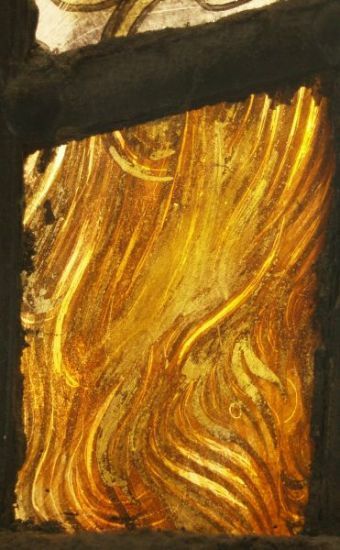 Details of marvellous hair and faces in some of the medieval glass panels of the stained or painted glass from the upper floor of the Spurriergate centre.